When Fidue announced their latest release, the Fidue A73 in-ears, it was quite an exciting prospect seeing as the company has progressed so much over the past years. With their flagship, the Fidue A83 and even the A71 model, the company has earned notable respect within the audiophile community for their valuable contributions. Sticking to their principles of timely designs and that signature Fidue sound, the A73 has been set for international release and has been heralded to be a showstopper considering its mere $149 price tag. Incorporating a premium balanced armature driver and exclusive dynamic drivers, the A73’s driver confirmation departs from the traditional A71’s dual dynamic titanium drivers and sticks to the hybrid conformation which has earned the A83 its staggering success. As with its predecessors, the Fidue A73 comes in an unassuming plain box which has all the necessary information including driver details as well as a description of the “accurate sound performance”. 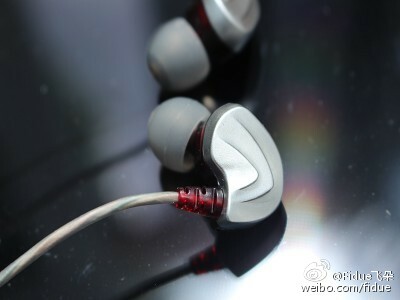 Inside, much like the A71 model, the IEMs rest in a foam insert and there is a high quality leather carrying case. The accompanying silicone eartips come in a small, medium and large variation to suit all user tastes and there is a shirt-clip for reducing microphonics. Benny Tan, the founder and chief tuner of Fidue, has opted for a stunning silver and red avant-garde design. The connections to the Y-split and 3.5mm jack seem pretty sturdy and the cable looks to be durable. Perhaps the Fidue team could have really pushed the message home here by incorporating the same detachable triple-braided cable as the A83 has to add a more premium touch to the IEM. Nevertheless, the design and build are certainly above average and Fidue have really done great on this aspect to secure the “durable” and “unique” categories which are part of their slogan. Housing size does not help in this regard either and is something that Fidue may want to consider scaling down so that the optimal fit can be achieved. The A73 delivers a delicate and fast-paced low-frequency range with a somewhat boosted response. This is a far cry from the overly boosted A71s and manages to still stay in line with the rest of the frequency range.The bass in particular is impactful and when listening to James Blake’s “Limit to your Love”, the bass is very well paced with good decay speeds and transients. There is nothing aggressive about the bass and tonally I’d say that it is very pleasant with good rumble, texture and depth. I was especially surprised to see a decent amount of sub-bass extension in Fractal’s “Element” track. With good weight, body, impact and speeds the bass has impressed me, and while not the tightest I have heard, is definitely a great attribute of this IEM. The midrange presents as forward and intimate within a light and airy soundstage. In comparison to the prior A71, the A73 delivers a slightly thinner note presentation with more clarity levels. This is evident as there is no bass bleed from low range frequencies into the midrange which the A71 was often suspect to. The warm tone of the Fidue A73 is captivating with male vocals in the lower midranges and becomes drier but more defined in the upper midranges. To add to this, the lack of sibilance and harshness makes these great to listen for extended periods of time. The treble of the A73 comes complete with great extension, air and sparkle. There is no discernible roll-off which adds to the liveliness and energy of tracks. The balanced-armature part of the driver configuration adds the needed clarity to make the Fidue A73 a great all-rounder for its price. The A73, however, is not as crystal clear as the clarity king known as the Rock-it Sounds R-50 but still has appreciable revelations of micro-details and nuances. What makes it different from other similarly priced balanced-armature sets is that the higher notes carry more weight and presence aiding the delivery of a more natural presentation. Open, airy and large are perfect descriptors to the Fidue’s welcoming sound-staging. While not as wide as the DUNU DN-2000 or even the Titan 1, the soundstage is larger than average with good projection of sonic cues in the dimensions of width and depth. Instrument separation is great with vocals and instruments not blending into one another. Coherency is another aspect that this IEM excels upon as there is no disconnect between the dynamic and balanced armature drivers owing to the careful selection of appropriate drivers to fit into the overall A73 sound signature. 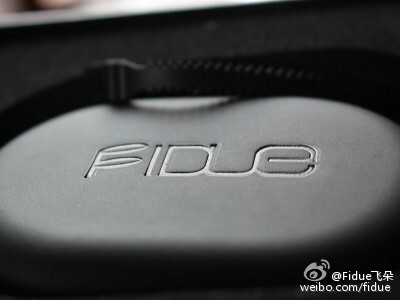 Overall then, Fidue have really impressed me with the release of the A73. A great all-rounder that is able to deliver fast yet impactful bass, smooth and intelligible vocals as well as a well-extended high frequency range. It is great that companies are now able to deliver cheaper hybrid models as not long before, the competition of models of this nature took place around the $300+ category. The A73, however, is not without its shortcomings as fit for me was a particular issue. In future revisions, Fidue should try to incorporate a longer nozzle for a more secure fit so that sound is not dramatically affected. Nevertheless, this is a model well worth buying simply due its price-performance factor.